115 registered members (2009Edge, ad244, 1978elcamino, 28oz, 53' Stude, 2dogs, 10 invisible), 2,132 guests, and 26 spiders. 2010 Ford Fusion. Has anyone successfully fit an oversize filter on this engine, I know the 820S size would match gasket and thread wise. I don't know if there is enough clearance. 500s is actually a little longer than 820s. No idea if it will fit though. Unfortunately, I do not know the answer, but as a fellow seeker of upsizing filters where possible, be warned some members here will be quick to critique you for it, and will try to tell you there's no advantage. I believe there is indeed [possible] advantage, or at least zero disadvantage so long as the threads, gasket, and bypass match. 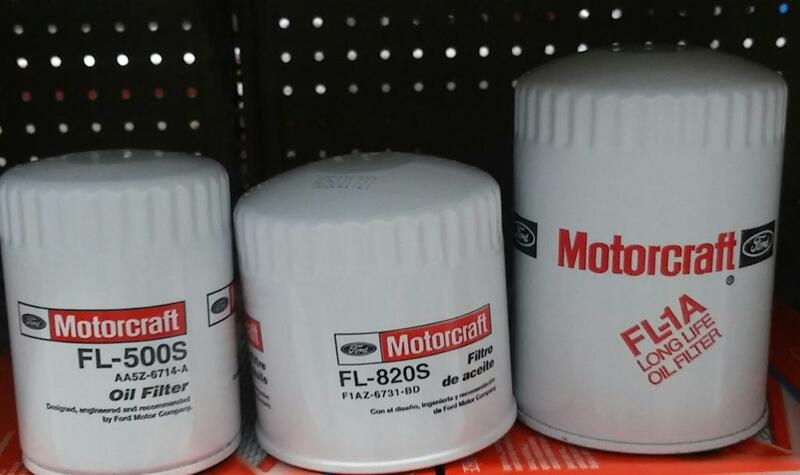 I know that on my F-150 the FL-820s size is all that will fit. You could always just buy one and try yourself, and you're only out a few dollars if it doesn't fit. If it does fit, I say run it. There is also one step up from the FL-820s size, that probably most people here don't know about because most people don't bother going any larger than that, either because it won't fit, or they are fine with the FL-820s size as it is. Our 2005 Escape has a 3.0L Duratec and specifies FL-820S filter...just a data point.